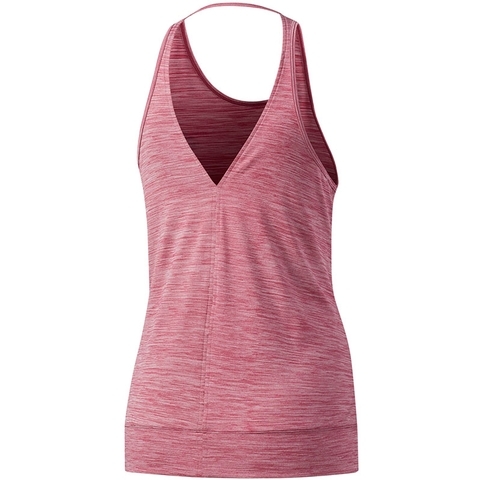 Stay dry and focused at the yoga studio, gym and just about anywhere else in this women's tank top. 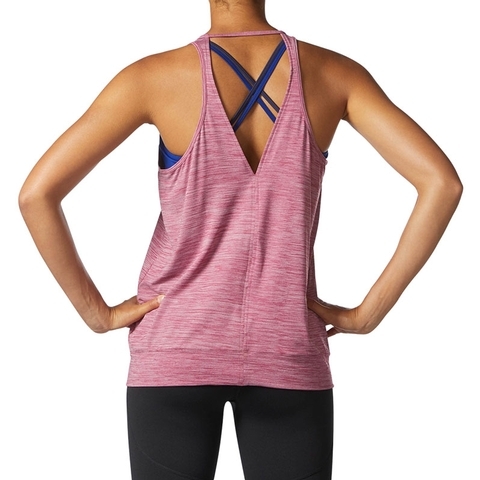 The heathered climalite® fabric wicks sweat away from the skin, while the open back keeps you feeling cool. 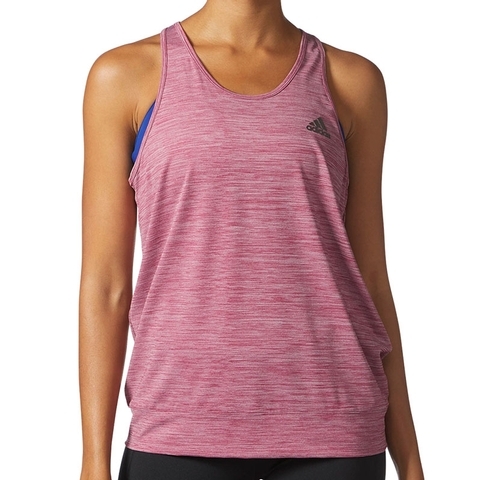 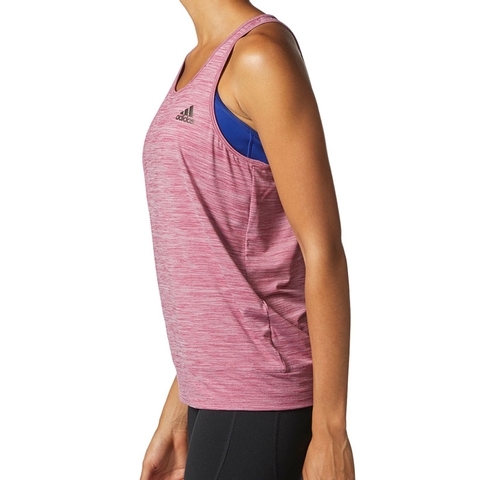 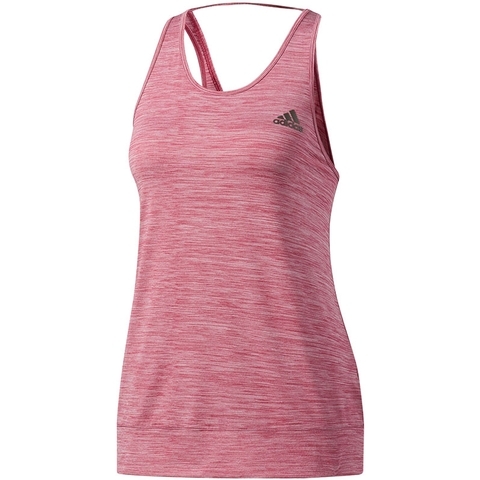 This lightweight top is designed to stay in place during all your training sessions. 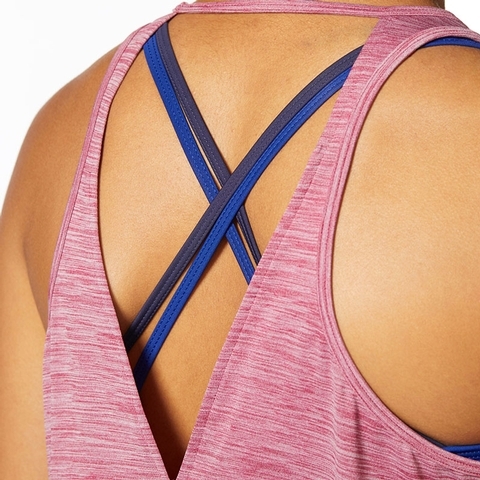 climalite® fabric sweeps sweat away from your skin, scoop neck, open-back cutout design. 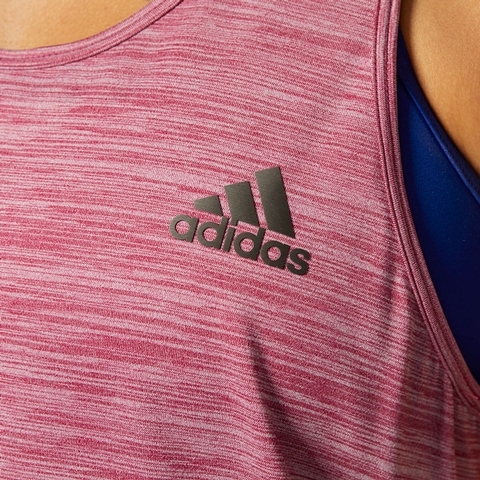 Banded elastic hem, adidas Badge of Sport on shoulder strap.